In a report on anticipated travel trends in 2019, the website Redhot Penny cited figures from the Association of British Travel Agents (ABTA) to reveal not only that more Britons are taking more holidays, but that they are spending more on their travel, travelling further afield and, as a result, often taking longer, extended holidays. For the property owners – whether homeowners or buy to let landlords – the incidence of extended periods of travel by the occupants of those properties poses problems with respect to the insurance that needs to be maintained. you might have an interest in a property which is currently subject to probate and stands empty and unoccupied until the process is completed, and its eventual ownership decided. These are all circumstances in which you may need to consider and compare unoccupied property insurance. 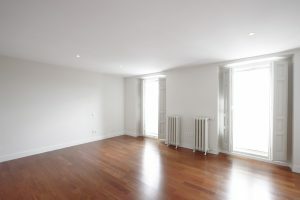 What are the issues with empty property? Whether you are a homeowner occupier or the landlord of buy to let property, you may know that your property is likely to be more than usually vulnerable when it stands empty and unoccupied for any length of time. The fact, that empty buildings are also targets for illegal intruders, squatters, vandals and arsonists – more than 60 fires a day, VPS say, have been found to have been started in or near unoccupied buildings. The Association of British Insurers (ABI) explains that if your property is empty and unoccupied for more than 30 consecutive days, you are likely to need specialist insurance – because the heightened risks mean that you are more likely to make a claim than when it is in more or less continuous occupation or use. The reason for that increased likelihood of your making a claim is because of the particular vulnerability of an empty property. If your property is going to be unoccupied for longer than a month or so, advises the ABI in a separate guide, the typical insurer is likely to restrict the scope and extent of cover provided and specifically exclude protection against such risks as loss or damage from water damage, malicious damage, and theft – just when your property probably most needs these safeguards. Because of those risks, the standard home insurance or landlord insurance cover which usually safeguards the property is curtailed or may lapse altogether once the place has been empty for longer than between 30 and 45 consecutive days (the precise interval varying from one insurer to another). In place of your standard cover, therefore, specialist unoccupied property insurance is required. Unoccupied property insurance is very much what the name suggests – it provides insurance cover for your property – whether that is your home, let property, a holiday home or commercial property. When you look more closely at just what this type of insurance covers and compare empty property insurance, however, you are likely to find that considerable care and attention are needed. Some versions of the product, for example, restore an element of cover, but it is restricted to so-called FLEA or FLEEA risks – Fire, Lightning, Explosions and Aircraft or Fire, Lightning, Earthquake, Explosions and Aircraft, respectively. Other versions may offer reduced levels of cover or exclusions for specific risks, such as flooding. Empty property insurance may be tailored to cover exactly what you want it to cover. Depending on the type of premises and the reasons for it being empty, you might choose relatively basic cover. More comprehensive protection against a wider range of risks and perils, including cover for the contents too, may be needed if the property is your own home for instance. Your objective is to secure the level of cover you require for your particular empty property. Comprehensive empty property insurance, for example, fully restores the protection you enjoy with your usual home insurance or landlord insurance whilst the property is more or less continuously occupied. In that way, you may rest assured that your unoccupied property and its contents remain covered against the full range of risks – including fire, flooding, storm damage, impacts (from vehicles and falling objects), vandalism and theft. Also restored is indemnity against your property owners’ or landlords’ liability, in the event of any third party – including neighbours and members of the public – being injured or having their property damaged and holding you liable. Claims such as these may run into very substantial amounts – and may even be made by persons who have gained entry to your property illegally. In recognition of the size of potential claims – especially those involving personal injury – indemnity of at least £1 million (and often more) is customarily provided. Empty property insurance arranged by Cover4LetProperty, for example, typically provides a generous £5 million of indemnity. This gives you peace of mind against claims not only from entirely innocent parties, but also from those such as squatters, arsonists and vandals who may have entered illegally (but may still have recourse to holding the property owner liable for any injury or property damage they suffer). Arrange your unoccupied property insurance online through us here at Cover4LetProperty and you have the choice of cover that protects as much, or as little, as you choose. This standalone insurance product may also typically provide cover for just as long as you need it – and unlike many other types of general insurance, may be purchased for periods of less than a year. If you are going to be away for just three or six months, for instance, your unoccupied property insurance may be bought for only that period. This might be one of your options if the reasons for the property being empty are because it is undergoing building works, for example. As you would before buying any other type of home insurance, carefully compare empty property insurance and all its variations – and you are likely to find that here at Cover4LetProperty we offer expert, specialist advice on competitively priced policies.